On Mother's Day 2013 Rina's parents were given the news "your child has leukemia....and your only other child may be her 2nd chance in life through a bone marrow transplant"
perfect marrow sibling match. It was later discovered after the transplant that Patrick's quantity of cells received by Rina were double the amount of new cells anticipated! 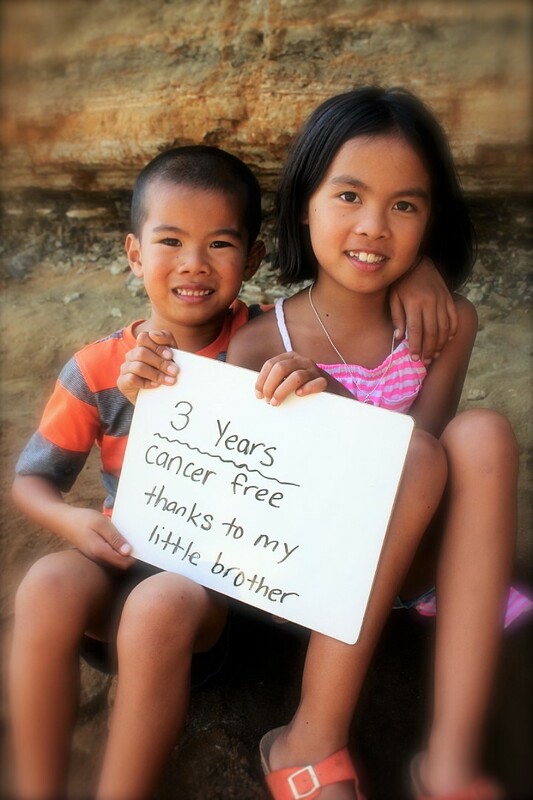 "Powerful Patrick's" cells allowed for an amazing recovery forever bonding the two siblings stronger than ever imagined. After 18 months of active treatment, 6 rounds of total body irradiation, 23 blood transfusions, and countless surgeries, Rina will be celebrating 4 yrs in remission in September 2017. The journey has been immense for the Sy family after selling their properties just 6 months before Rina's diagnosis. Rina's mom Marianne was also diagnosed with PTSD/PTSS shortly after Rina's transplant. Since their cancer journey began, The Sy family have used their story to bring about awareness around childhood cancer by paying it forward with the many organizations that have helped them along the way. Keith and Marianne even completed several triathlons through team in training with Leukemia and Lymphoma Society. Each passing day has been healing for the family. Rina still goes in for oncology checkups every 4 months. But she and Patrick are thriving, happy and healthy! In the words of the family, "A Rooms to Thrive for Rina creates a space that is in all aspects sustainable- a sacred place using green and less toxic materials, a space to grow in, and to protect her sleep- allowing for lifelong dreams for a future of health and wellness." For Rina, "feel lucky to have a Room where I can THRIVE!" Help us give Rina a Rooms to Thrive by donating here today.